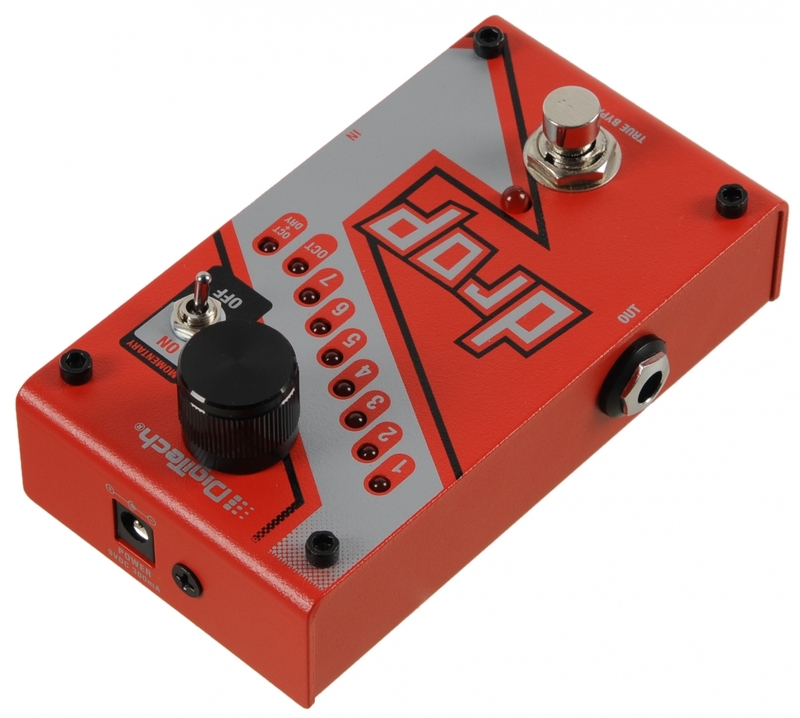 The DigiTech? 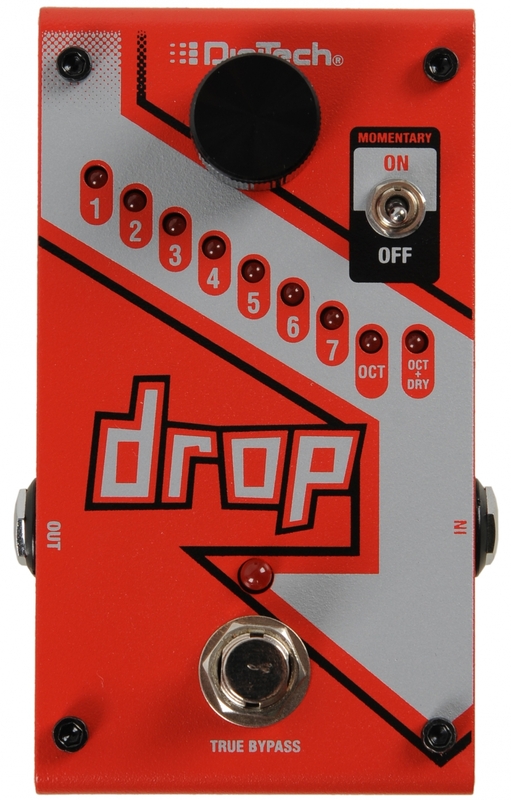 Drop is a dedicated polyphonic drop tune pedal that allows you to drop your tuning from one semitone all the way down to a full octave. Get down-tuned chunk without having to change guitars! 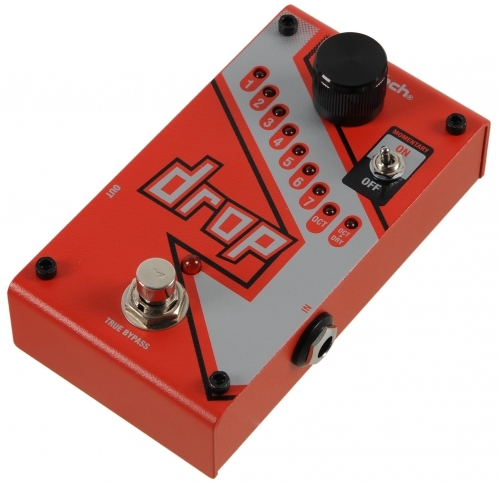 The Drop also features a momentary/latching switch. With the switch set to momentary, you can turn the Drop into a true performance pedal. Fast trills and roller-coaster pitch dips are at the tip of your toes.